Traditionally, harvest is a time for celebration. To our ancestors, a successful crop meant that they’d have the means to survive the coming winter and the year beyond. And, let’s face it, there’s no better reason to celebrate than the prospect of survival. So… we’ll make a beer for that. Why not? It’s Harvest time. Kind of like Hammer time, only cooler. This week, our 6.2 percent Harvest Season Ale became available. Previously, we brewed this beer with pomace, or the crushed grape skins that remain after the liquid has been pressed out. But we wanted a wee bit more wine character this time around, so we made this batch with Merlot grape juice. It’s a perfect brew for all the wine lovers coming to Cape May Airport, our homebase, for the Cape May Wine Fest this weekend. 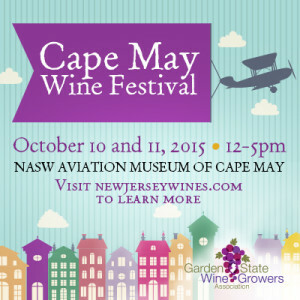 On October 10 and 11, between noon and 5pm at Naval Air Station Wildwood, expect food trucks, live music and — of course — tasty libations. For those who aren’t into fusion, no worries — the beer still tastes like beer, just with a little something special. Speaking of something special, the Harvest Season Ale is made with our Saison yeast strain, and since ‘saison’ stands for ‘season’ in French… Well, you see what we did there.